Visit the Maritime Museum for a rare opportunity to tour a 89 year old fully functional Norwegian ship. 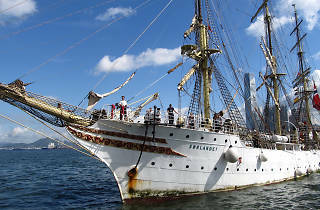 A rare opportunity to take a tour on an 89 year fully-rigged tail ship, the Maritime Museum is welcoming vistors on the Norwegian heritage vessel Sørlandet. Orginially built to train sailors into merchant navy, the Sørlandet is now a floating classroom for students to learn about sailing history, as well as subjects like Mathematics and Calculus. 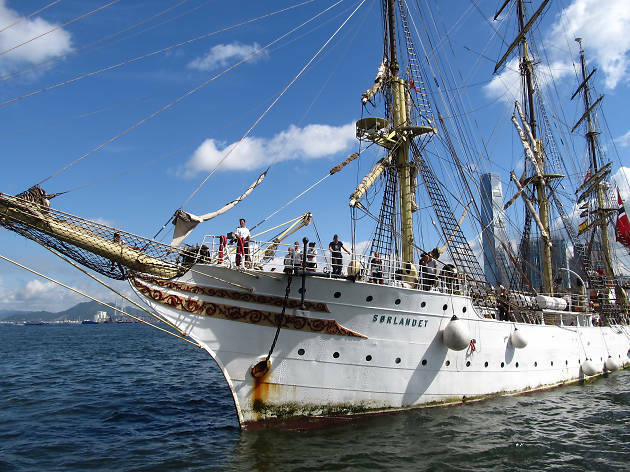 Hong Kong is the final stop for the ship before it sails back to its hometown, and don't miss out!